Bathrooms used to be designed only for function, but modern homeowners are finding that a well-designed, quality bathroom can also be beautiful and luxurious. 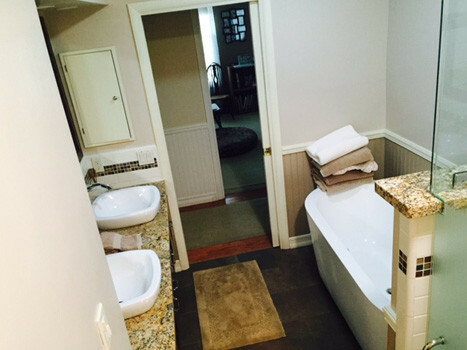 Remodeling a bathroom can increase your enjoyment of the home, not to mention improve the home’s value. If you’re thinking about renovating your bathroom space, here are some things to keep in mind. 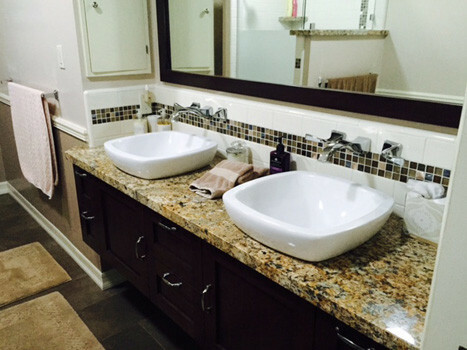 Many bathroom remodels involve moving or expanding the footprint of sinks, toilets or showers/tubs. Moving the toilet out of sight from the bathroom entrance is one popular trend. 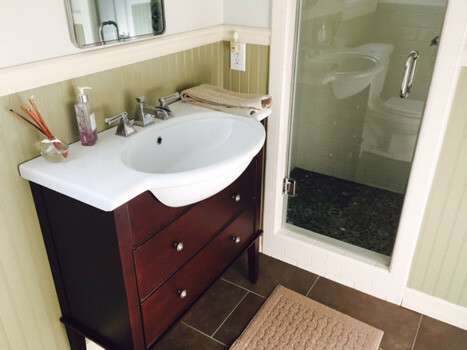 In other bathrooms, switching the sink and toilet can provide more space or storage. While it is often possible to move fixtures during a bathroom remodeling project, this may require rerouting the plumbing. The difficulty of rerouting plumbing depends on several things, including access to the pipes, the age and condition of the pipes, and the design of the home. 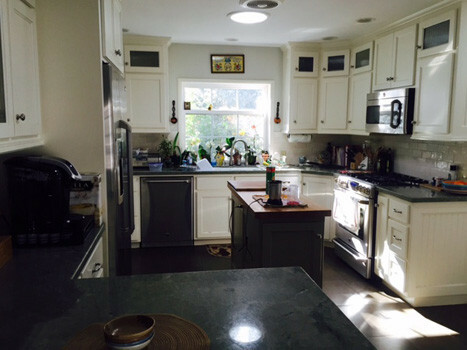 Lighting is also frequently improved while remodeling a bathroom. In addition to installing new light fixtures, a remodeling project is the ideal time to consider moving or adding fixtures to provide better lighting. Lighting can be designed for atmosphere for relaxation while taking a bath, or to make tasks like shaving or applying makeup easier. Ventilation is an important part of good bathroom design, too, especially since it is inadequate in many older homes. Bathrooms produce a lot of moisture because of the shower, toilet and sinks, and without proper ventilation, that moisture can lead to the growth of mold and mildew and other problems. 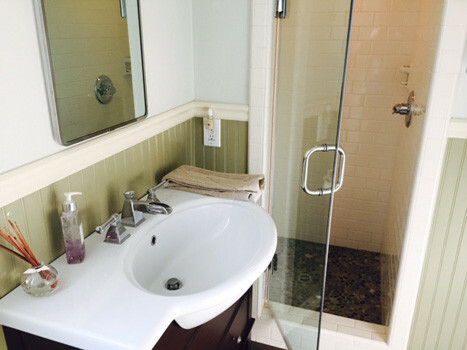 A bathroom renovation is an ideal time to consider improving the ventilation. 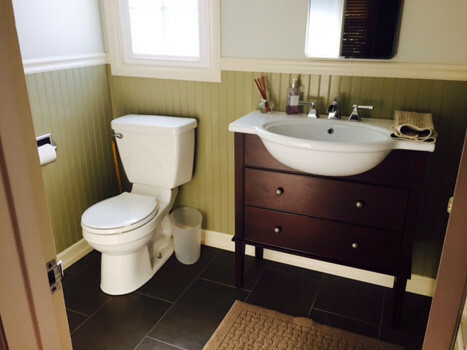 Tonkin Plumbing starts bathroom remodeling projects with a visit to your home so that we can examine the existing space. 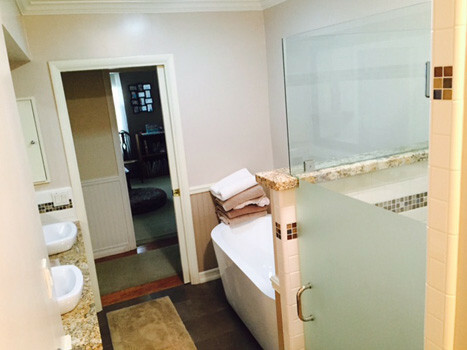 Our skilled designers help you realize just what is possible with your bathroom remodel and can discuss different options for your remodeling project, identify any areas that might pose a problem, and help you develop a plan for the renovation from start to finish. Contact us today by calling 951-784-7586 to learn how we can help transform your bathroom into a luxurious space that you will enjoy. ← What Are the Most Common Summer Plumbing Problems?